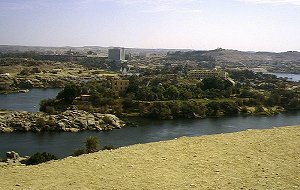 The town Aswan has about 280 000 inhabitants and became famous through the construction of the two dams. A very dry and hot region. 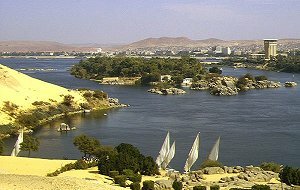 Near Aswan lie the islands "Elephantine" and "Kitchener" in the Nile. 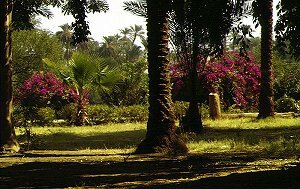 In contrast to the surroundings they are overgrown with sumptuous vegetation. 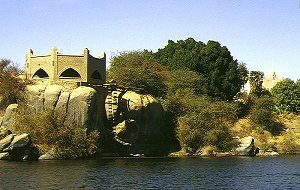 High above the Nile and the Begum-Residence there is the Mausoleum of Aga Khan. 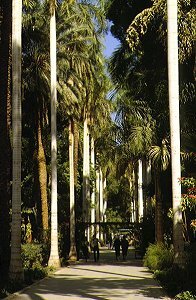 He died in 1957 and was the Imam of the schiitic sect of the Ismaelites and descendant of the Assassine Princes. His wife, the Begum, was Mata Salamat. She often visited the Richard Wagner Festival in Bayreuth. 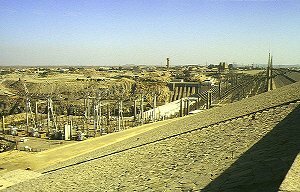 Near Aswan are the Granite Quarries where the obelisks found in many parts of Egypt came. 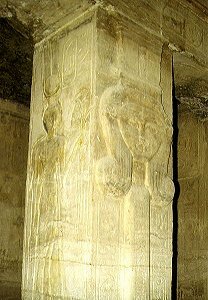 How they were transported so far away has been a mystery up to now. 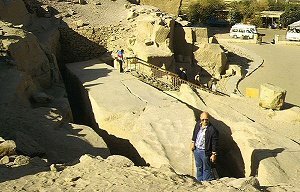 In a quarry there you can see an unfinished obelisk. 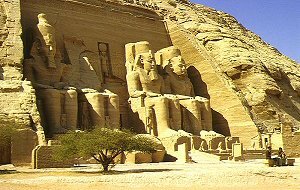 It would have been 42 metres high and would have weighed 1,150 tons, but it cracked in several places and was never detached from the rock. 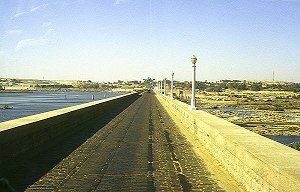 The lower dam was built from granite and completed in 1902. 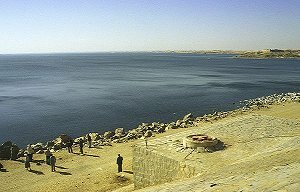 The high Sad el-Ali-Dam was built between 1960 and 1971. 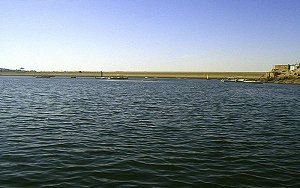 It lies 7 km south of the old dam and is nearly 4 km long and 110 m high. 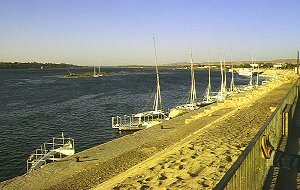 The reservoir behind is 500 km (!!!) 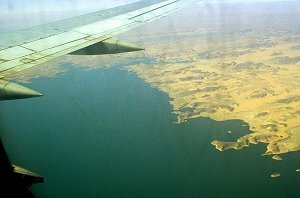 long and reaches up to the Sudan. It's surface area covers 5000 square kilometers. 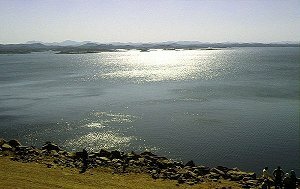 Building of the high dam was and is discussed controversial. 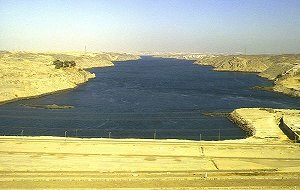 With the water power the whole of Egypt can be supplied with electricity and because the quantity of water is always the same regardless of season, agricultural areas could be enlarged, but the yearly floods that previously brought fertile mud, now must be compensated with mineral fertilizer. Because of the lack of rain there is always the risk of oversalting of the soil. 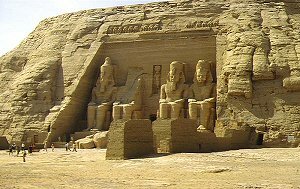 When visiting Aswan, you should not miss seeing the Temples of Abu Simbel. 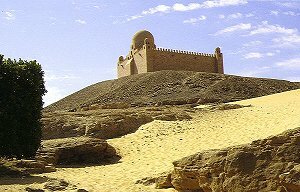 They are located 300 km southwest in the Nubian Desert on the banks of Lake Nasser not far away from the Sudanesian border. You can reach them by aeroplane or by Hydrofoil, a water foil boat. 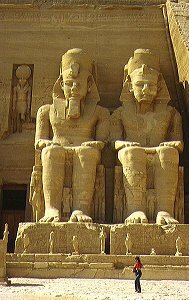 Ramses II commisioned the temples about 1250BC. 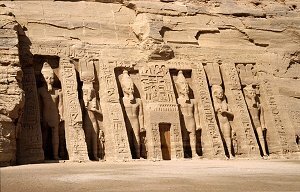 The great temple is consecrated to the Gods Amon Re, Re-Harachte and Ptah, the smaller one is a Hathor-Temple for Ramses' wife Nefertari. 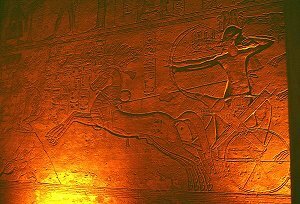 Hathor was the Goddess of Love of the Old Egyptians. 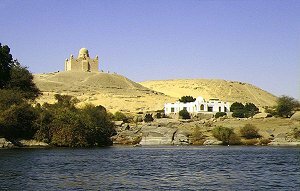 The temples used to be located lower down near the banks of the Nile. After building the new dam, it meant that they would be flooded. 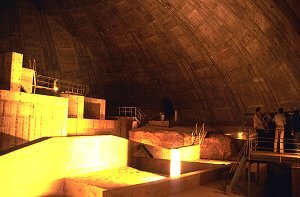 So in an international operation of UNESCO, the surface of the hill and the inner halls were sawed up and reconstructed 64 m higher up the valley, inside a concrete dome. 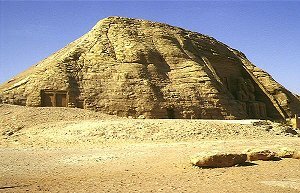 The reconstruction of both temples was so accurate, that no one can see from outside that the hill is hollow. 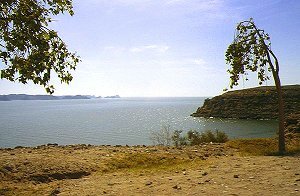 Although we are already 300 km southwest of the dam and not far away of the Sudanese border, the Lake Nasser continues 200 km further south. 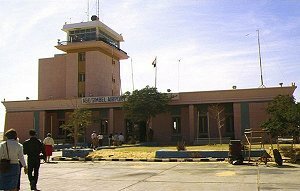 A small airport was built specially for the temples. When asked when the aeroplane (a Boeing 727), would depart, the answer was "as soon as everybody will be back from the temples"!